HEPA is an acronym for high efficiency particulate air, and is used when referring to high efficiency air filters that remove up to 99.97% of all particles above 0.3 microns that pass into the air. HEPA filters are effective and highly efficient in removing dust, mold spores, dust mite feces and more, which usually acts as allergens that trigger allergies. Air pollution does not just refer to industrial and motor vehicle emissions but also refers to dust and other particulates that float in the air inside your home, causing allergic reactions. HEPA filters are mechanical air filters that work by forcing air through a fine filter/mesh that traps any particles larger than 0.3 microns which could include tobacco smoke and other volatile organic substances. HEPA filters are used in various portable units because of their high level of efficiency at getting rid of airborne particles. Originally developed as part of the top secret Manhattan project-a nuclear weapon based project- aimed at safeguarding against radioactive outbreaks, original HEPA filters were used as part of the gas mask. Today, HEPA filters are used in hospitals, laboratories, micro chip manufacturing facilities and any establishment where high quality indoor air is required. HEPA filters are made of a compacted fiberglass interior with the strands arranged to form a matting structure. When particles are sucked into the filter, they are intercepted, impacted and diffused into the fibers. Intercepted particles are those that collide onto the fiber and stick to it, impacted particles are those that collide with the fiber and are retained by the padding. When looking for a HEPA filter, there is something to consider that will affect your choice. The first thing you should check is if the filter is genuine. A genuine HEPA filter should operate at an efficiency of 99.97% for particles above 0.3 microns. It is important to check this when looking for a HEPA air filter system, because these filters are expensive, and you don't want to pay for a fake filter that is expensive. 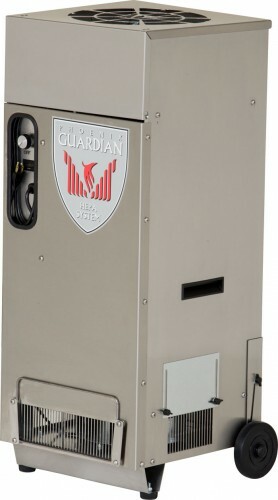 When used in a vacuum system, HEPA filters impose a heavy suction load on the cleaners and would therefore necessitate the use of more powerful motors, This should be distinguishing factor for such machines-the power of their motors, and the frequency of cleaning the filters- which should be higher. In case you require help in getting a HEPA filter, ensure you contact professionals with a track record in providing and servicing these filters. This article was published on Wednesday 09 January, 2013.